Dayton - As Seen Through the Lens of Rollyn E. Puterbaugh Sr. This gallery has been created from large format negatives that Rollyn E. Puterbaugh Sr. took over his long photography career. Some of the images have been scanned from prints while others were digitally produced from original negatives. All images on theses page are: Copyright Rollyn E. Puterbaugh Sr. 1925-2003 Images courtesy of Gloria Puterbaugh-Klosterman, Rollie Puterbaugh and Marcia Puterbaugh-Gentry Please check out Rollie E, Puterbaugh Jr.'s excellent website at http://public.fotki.com/Rollie08/ . Here you will find additional images by his father, Rollyn E. Puterbaugh, Sr., as well as a number of other subject matters that might be of interest including, Pittsburgh, New York City and Commercial Aviation. Dayton Aviation - Here are a few of the aviation photographs Rollyn took over his career. 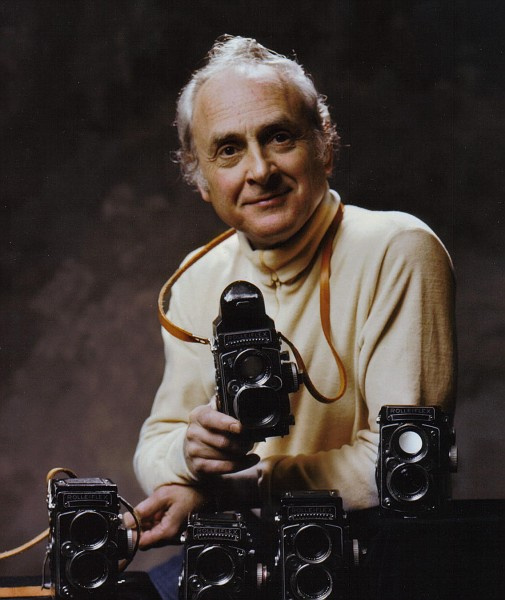 Historic Dayton - Most of Rollyn's work was commercial photography, but through the years he developed a number of "accidental historic" photos. Parkmoor Restaurant - In the 1950s and 1960s, Parkmoor Restaurant was a major customer of Rollyn's. Many free dinners were avaiable to his children as soon as the food had been photographed in the studio. Rike's - Rike's was a major client of Rollyn's. They published a monthly newsletter which he provided the photo content of each edition. 1950 Snow Storm - The snow storm that hit Dayton, Ohio in 1950 became a generational event for Rollyn and his wife as the city was virtually shut down. Out of state family members were stranded in their home for several days.